Happy New Year! I can’t believe it’s 2012 and my trip to Europe has come and gone. It was another wonderful trip though, and I’m already looking forward to the next one (fingers crossed for Oktoberfest this year). We started our vacation in Amsterdam. I was flying there to save money, and we figured we might as well make the most of it. Sebastian had been to the city before, but it had been almost ten years, and we were both excited to explore. If you’ve never been, it really is a charming city with all the lovely canals and diversity among its residents. We spent the first day getting to know the city and the majority of time walking around. Our hotel was located in the Red Light District. The stories are true, and the girls really do stand in the windows – wearing nothing but lingerie. Once you get past that though, I have to say it is one of the nicer and more livelier areas. And home to a Burger Bar, where I had one of the best burgers and the most AMAZING Belgian Fries – freshly cut, cooked twice, fluffy on the inside, crispy on the outside, delicious. After spending the day exploring, we took a candlelight cruise through the canals. 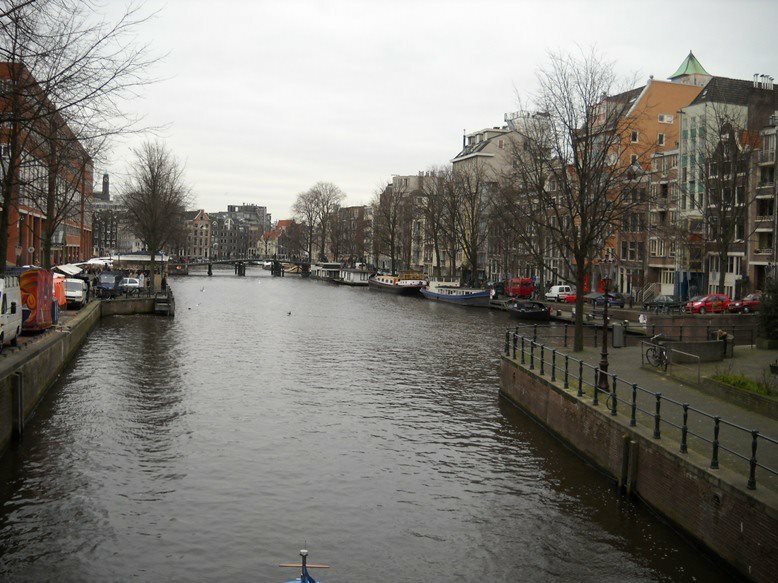 We sipped red wine, ate a variety of Dutch cheeses and watched the city float by. It was a very relaxing and romantic evening. The following day we went to the several museums including the Rembrandt House and the Heineken brewery tour. The Rembrandt House was fantastic. It’s so cool to be in a building more than 500 years old and stand in rooms where Rembrandt lived and created art. 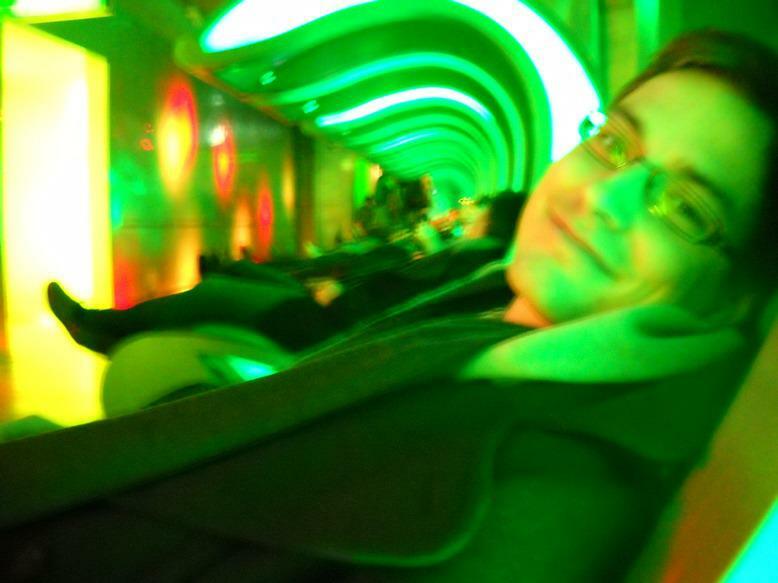 The Heineken Experience, as they call it, was also a lot of fun. The tour is very interactive and of course there is drinking involved. We spent a lot of time laughing together (as we did for most of the trip). We finished the second night by trying Lieve, a Belgian restaurant – after reading a review on another blog (thanks Glocal Girl) – and it didn’t disappoint. We chose the Living Room style dining with three courses. During the dinner, we tried potato sushi, steak tartare, grilled steak of Boeuf Blonde, deer and wild boar stew, mini chestnut cakes and an apple cinnamon parfait – amazing. The final day in Amsterdam we spent the morning at the Anne Frank House. I read The Diary of Anne Frank when I was a young girl, and it was incredible to be in the room where she actually wrote. I can’t even begin to imagine what it was like to experience what she did, and I’m thankful the museum was created so we don’t forget those times. After that we went to our favorite breakfast spot in the city, Bagels & Beans, and spent the rest of the day sightseeing. 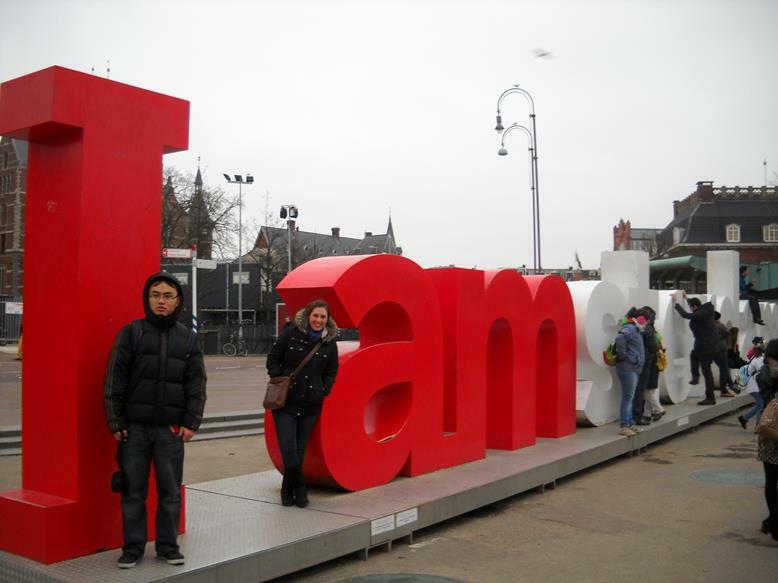 This included a stop at the famous I AMsterdam sign and of course another meal at the Burger Bar. That night we flew to Berlin for the next part of our trip. We spent four days in Berlin and it absolutely flew by. I had already visited Berlin before, and Sebastian is frequently there for work, so it was nice to relax and not feel pressure to see the city. We stayed at a hotel that offered apartment-style rooms, which means we had a kitchen. Almost every morning we went to the grocery store, bought food for the day, and came back to our little kitchen to make breakfast together. I can’t express how nice it is to do day-to-day activities with Sebastian. These are rarities for us and it’s nice to enjoy them. Of course we didn’t spend all the time relaxing. 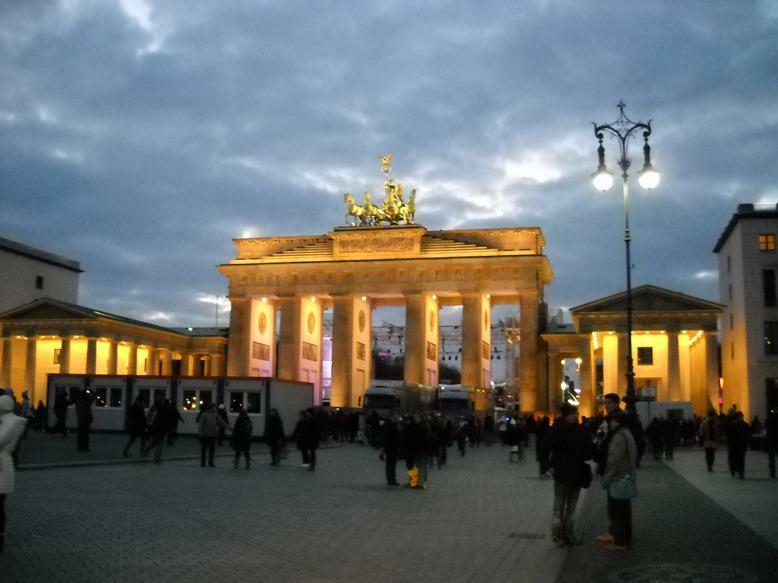 We ate at some great restaurants, visited with a friend and did some sightseeing, including the Checkpoint Charlie museum, Brandenburg Gate, the Museum Island and the Reichstag building. 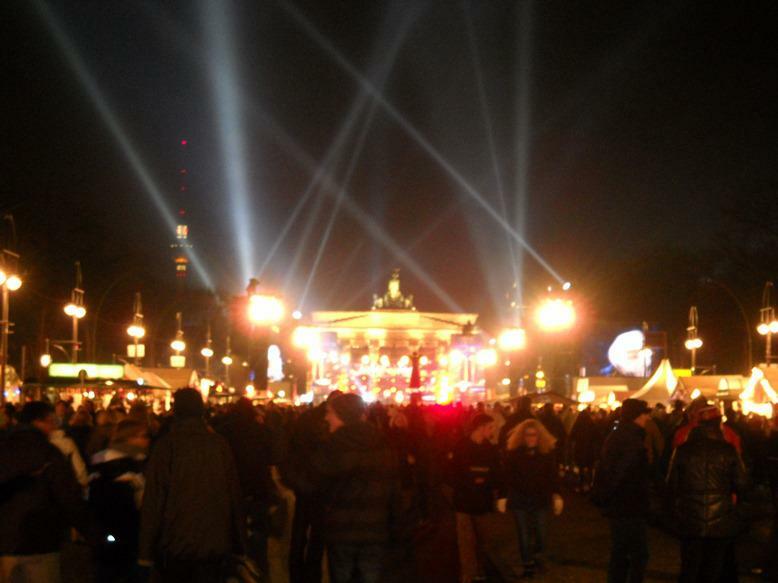 We returned to the Brandenburg Gate on New Year’s Eve (along with one million other people) and it was crazy. The Germans sure know how to party, and it’s definitely a night I won’t soon forget. New Year’s Day was our last day together and the following morning it was back to the States. I already miss Sebastian, but it’s a new year, and I’m excited to see where it will take us. Cheers! Glad you enjoyed the blog and the pictures. I love to travel, so I definitely see more trips in my future :-) Hope you can make it for Joe’s graduation!